When it comes to inspiring the best engineering solutions, it all starts with our people — our team are passionate, experienced and energetic. Each member of our team is carefully selected, empowering them to maximize their skill-sets to serve our customers. You won’t find a better, more talented or passionate group of people anywhere. James loves this business. Born out of a desire to help his customers innovate, to understand their challenges and opportunities and work with them to bring tangible benefit to their business, this is the mantra by which he leads PSI Technologies. With over 30 years of engineering experience he also brings a wealth of technical knowledge to the company across multiple industries including rail, medical, food and beverage, automotive and others. Steven joined PSI in 2009, bringing 25 years’ experience in Logistics, Engineering and Management. His broad business knowledge and focus help keep PSI Technologies aligned with its key strength, providing ‘value through innovation’. As the company Sales Manager, Roger is responsible for translating the PSI Technologies strategy into sales activity and supporting the sales team to achieve the company goals within the UK and Irish markets. Roger joined PSI Technologies in 2010 and with more than 25 years of technical sales, automation application and engineering experience, he contributes significantly to the wealth of knowledge and expertise at PSI Technologies. With his focus on strategic distribution channels, Stuart is responsible for translating the value that PSI Technologies sees in resale and distribution into stronger relationships and more proactive partnerships with our new and long-standing distribution partners. With a keen focus on expanding the range and depth of portfolio available through resale and distribution, Stuart works closely with our partners to build awareness of the extent and availability of our product range. With a background in internet platform development, his role also embraces the expanding online environment. Kelly manages projects within the Engineering team and brings over 20 years of engineering experience. Starting as a graduate mechanical engineer in project engineering for a special purpose machine building company she moved into a technical sales environment as an applications engineer and product specialist. Kelly joined PSI in 2005, initially as a technical sales engineer, before moving into project engineering. Following a 4 year break to be a full-time mum, Kelly returned to the company in 2015. Graham Prior is the Production Manager in PSI. He joined the company in 2005 bringing over 20 years of experience in control system manufacturing of both electrical and pneumatic control systems. He comes from a manufacturing company specialising in tooling and other equipment for the PCB industry, together with purpose-built machinery for non-associated industries. Responsible for our production facility, it is Graham who ensures that our manufacturing operation runs smoothly and your products and systems are delivered on time and to the highest quality. 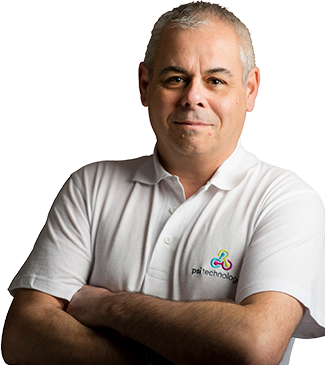 Paul joined PSI as a Senior Engineer in 2013 to expand our systems design capability. An excellent addition to the team, Paul brings over 35 years of experience of designing, building and programming special purpose control systems and bespoke electronics. Through his wealth of experience he has provided system solutions for a broad range industries including process, rail, automotive and transportation. Richard joined PSI in January 2017 and is responsible for the ongoing management of our Quality Management System, supporting our customers and identifying business process improvement activities. Richard has over 20 years’ experience in Quality Management and Quality Management Systems most recently as part of the corporate quality team of a global storage products company. Richard has a wealth of experience dealing with global customers both large and small.